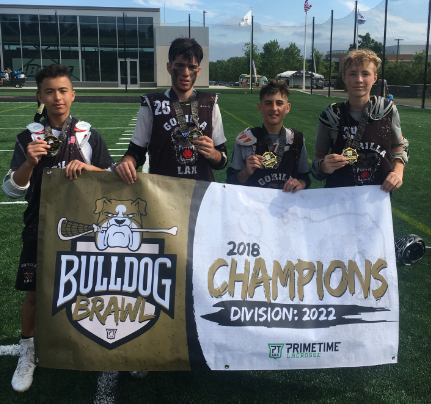 FRAMINGHAM – This past weekend, the Gorilla Lax 2022 club lacrosse team took home the championship at the PrimeTime Lacrosse Bull Dog Brawl Tournament at Bryant University in Rhode Island. The Gorilla Lax team went undefeated, winning all five games, beating teams from New York, Rhode Island, New Hampshire, and Massachusetts. Gorilla Lax defeated 4Leaf Lacrosse out of New Hampshire 12-2 in the championship game. Four Framingham players – Joe Ferrante, Tommy Duane, Timmy Sullivan and Mason Moy – are members of the Gorilla Lax 2022 club team. Sullivan had 3 goals and Duane had 2 goals in the championship game. Ferrante registered three assists in the victory, while Moy was dominant on the defensive end. 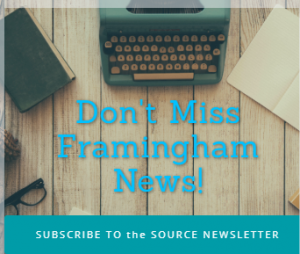 All four boys have been a part of the Framingham Youth Lacrosse program for many years and will be attending Framingham High in the fall.